The Malvern Panalytical offices in the US are no strangers to hard work, and absolutely no strangers to play. 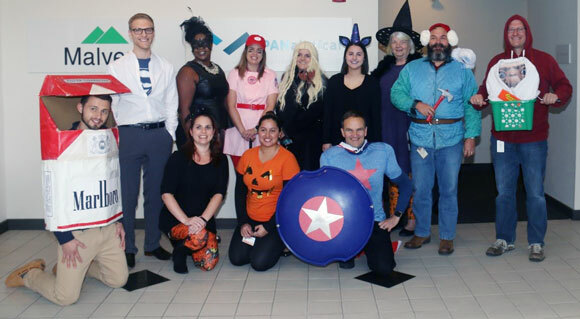 On Halloween, employees in the US headquarters office (Westborough, MA) took the opportunity to celebrate with an assorted pastry breakfast, a potluck lunch, and an office-wide costume contest. Homemade costumes seemed to be the theme this year as employees showed off their creative side in hopes of winning the contest. It was difficult to choose, but ultimately, Fred Mazzeo, dressed as Elliot and E.T. was crowned the winner. Runners-up included Bill McDonald as Yukon Cornelius, Kathy Macchiarola as Daenerys Targaryen, and Danielle Fogerty as a player from A League of Their Own. 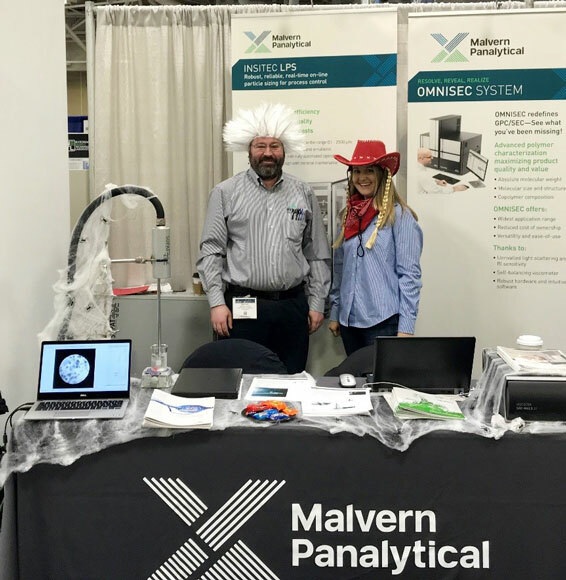 The Halloween spirit was not confined to the office, as several colleagues attending the AlChe Conference in Minneapolis welcomed visitors with costumes, candy, and our cobweb-covered booth, winning Malvern Panalytical a prize from the conference staff. Well done team! 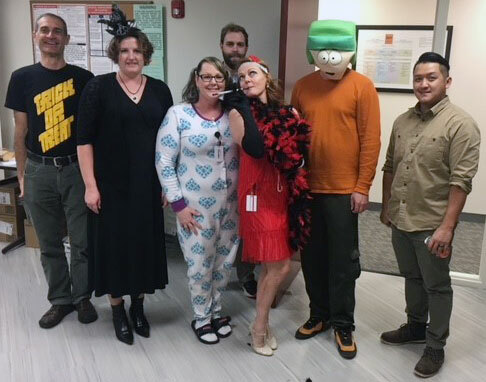 Our colleagues at our Longmont, Colorado office also held their own Halloween festivities, complete with a potluck lunch and plenty of creative costumes as well. 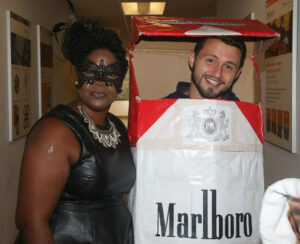 Nejea Davis and Carmine Bevilacqua posed while waiting for the potluck lunch. Being festive can be comfortable too; Jessica Lopes and Rosemary Lynch pulled it off perfectly. 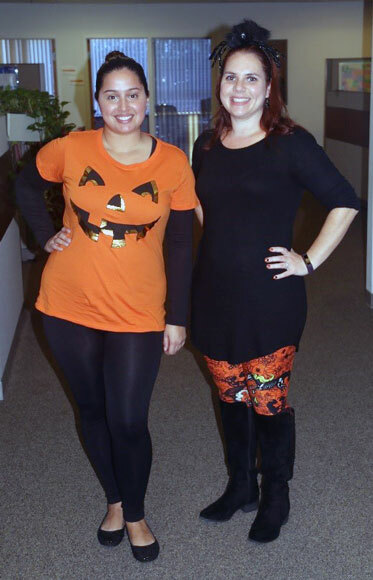 From all of us at Malvern Panalytical, we hope you and yours had as great of a Halloween as we did.